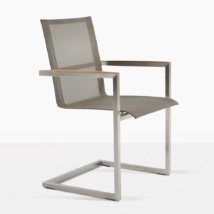 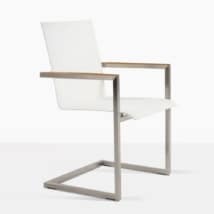 With its classic, minimalist appeal, our classic mesh outdoor dining chair is made with a Batyline® mesh seat and back support, with #316 marine grade stainless steel for legs and frame. The white mesh and shiny stainless steel frame are a stunning combination. 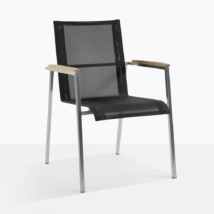 The Classic Batyline® Mesh chair can be stacked for easy and convenient storage making it an ideal choice for homes, cafés, restaurants or boats. 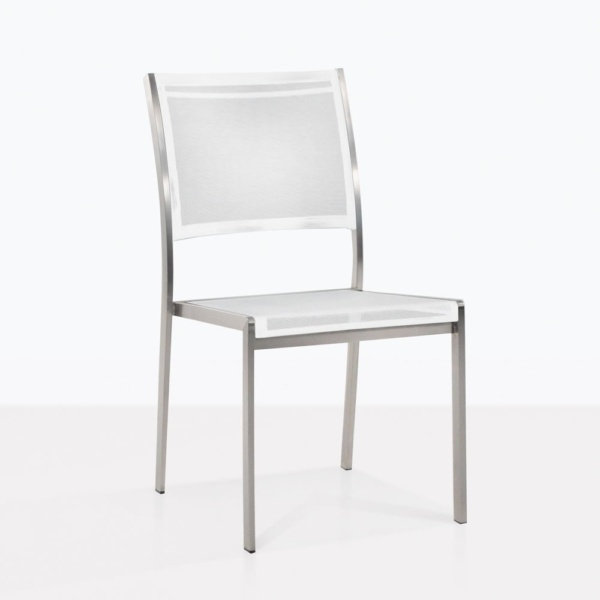 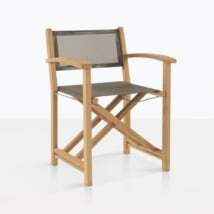 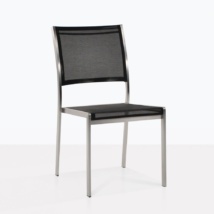 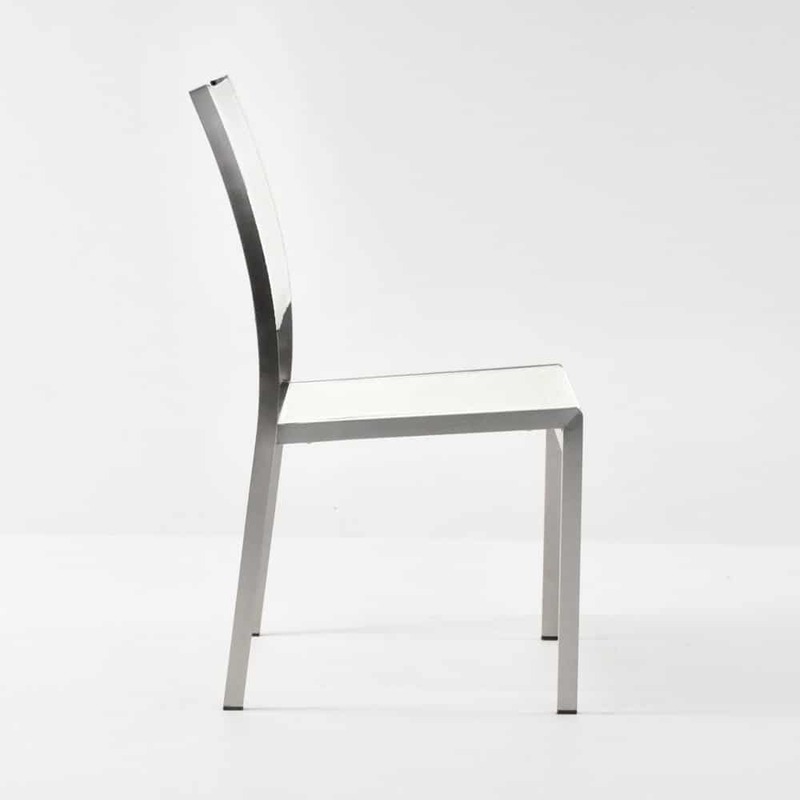 These contemporary dining chairs go beautifully with our range of a-grade teak and stainless steel dining tables. 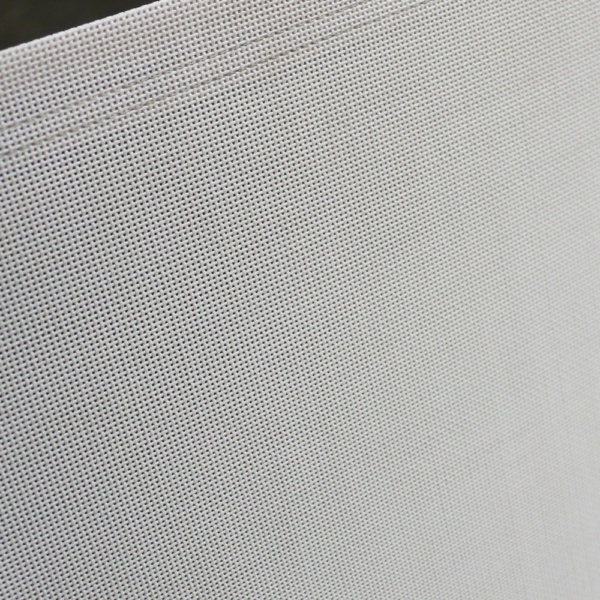 W18" x D19" x H36"